Singapore Press Holdings, Keppel Corp., Keppel Telecommunications & Transportation and M1 all requested after the market close on Thursday that the trading halts on their shares be lifted. SPH’s and Keppel Corp.’s shares were halted before the market open on Thursday as Keppel Corp. and SPH announced that, via a special purpose vehicle called Konnectivity, they planned to make an offer for all of M1 at S$2.06 a share. The offer price is a premium of 26 percent to M1’s last traded price of S$1.63 on Friday of last week. Konnectivity has a deemed interest of 33.27 percent of M1, the filing said, with Keppel T&T, which is 79 percent owned by Keppel, owning 19.2 percent, while SPH has a 13.45 percent stake held via wholly owned subsidiary SPH Multimedia. In a separate deal, Keppel proposed taking Keppel T&T private at S$1.91 a share, it said in a filing to SGX on Thursday. The stock last traded at S$1.36 on Friday of last week before being halted, indicating a 40 percent premium in the offer price. Shares of M1 and Keppel T&T were halted before the market open on Monday. Keppel Corp. said on Thursday that Keppel Capital’s wholly owned subsidiary Keppel Capital China signed a memorandum of understanding to establish a fund management entity in the Eco-Business Park in the Sino-Singapore Tianjin Eco-City (Eco-City), a bilateral project between the governments of Singapore and China. The MOU was with the China-Singapore Tianjin Eco-City Administrative Committee (ECAC) and Sino-Singapore Tianjin Eco-City Investment and Development Co. (SSTEC), it said in the filing to SGX after the market close on Thursday. “Focused on renminbi fund management business, the entity will serve as a platform for us to work with Chinese investors and capture opportunities in the market, including those brought by the Belt and Road Initiative,” Eric Goh, CEO for China at Keppel Capital, said in the filing. Keppel leads the Singapore consortium in the joint venture to develop the 30-square kilometer Sino-Singapore Tianjin Eco-City, it said. Mapletree Logistics Trust’s manager said on Friday that the 309..92 million new units issued for its private placement at S$1.21 each will be issued on Friday and begin trade on Singapore Exchange Securities Trading (SGX-ST) at 9:00 A.M. SGT. The proceeds are earmarked for the cost of acquiring five logistics properties in Singapore, a deal which was announced early in July, it said. Soilbuild Business Space REIT’s manager said on Thursday that it has issued S$65 million 6.00 percent subordinated perpetual securities under its S$500 million multicurrency debt issuance program, established in 2015. The net proceeds from the issuance will be used to finance general corporate purposes, including acquisitions and/or investments, it said. HSBC’s Singapore branch acted as the sole dealer and book runner, it said. Ascott Residence Trust’s manager said on Thursday that it redeemed in full the 5 billion yen, or around S$61.365 million, in 2.010 percent fixed rate notes due 2018 and the notes have been cancelled. The notes were issued by Ascott Residence Trust’s wholly owned subsidiary Ascott REIT MTN under the S$1 billion multicurrency medium term note program established in September 2009, it said in a filing to SGX after the market close on Thursday. Straits Trading and MSC Properties, which is a wholly owned subsidiary of Malaysia Smelting, signed a memorandum of understanding (MOU) to jointly explore options for their neighboring land in Penang. Malaysia Smelting (MSC), which is a 54.8 percent-owned subsidiary of Straits Trading, is relocating its smelting operations from Butterworth, Penang, to a new plant in Pulau Indah, Klang, with production at the Penang plant to be gradually phased out, it said in a filing to SGX after the market close on Thursday. The full migration is expected to be completed by 2020, it said. Accrelist was setting a “soft launch” in Singapore on Friday of its unmanned retail store, called WE9GO, which uses artificial intelligence and facial recognition to track inventory and collect data on shopper preferences, it said on Friday. The shop will also use facial recognition to facilitate payment and radio frequency identification tags to track product movements, it said in a filing to SGX before the market open on Friday. Sunpower Group said on Thursday that it obtained a 89 million yuan manufacturing and services contract from repeat customer Shenhua Yulin Energy Chemical, a subsidiary of China Energy Investment. “Under the contract, Sunpower will provide high salt water content crystallisation equipment for Shenhua Yulin’s project in Yushen Industry Park, Yulin city, Shanxi province for water treatment in which the high salinity wastewater from its plant will be recycled for other industrial uses, achieving zero liquid discharge,” it said in a filing to SGX after the market close on Thursday. Equipment delivery is expected to be completed by 2019 and it’s expected to positively impact the company’s performance for fiscal 2018 and fiscal 2019, it said. Sembcorp Industries said on Thursday that the sale of wholly owned subsidiary Sembcorp Utilities (Netherlands)’s, or SUNNV’s, 73.4 percent stake in Sembcorp Siza Water to South African Water Works has been completed. SUNNV’s divestment of fully owned Sembcorp Utilities South Africa and its 100 percent effective stake in Sembcorp Silulumanzi is expected to be completed by year-end, it said in a filing to SGX after the market close on Thursday. Sembcorp Siza Water has ceased to be a part of the group, it said. Chili crab restaurateur Jumbo Group said on Thursday said it opened a JUMBO Seafood restaurant in Taichung City, its second franchised outlet with partner Ho Sing Food. The first franchised outlet with Ho Sing Food was in Taipei City, and it has also recently opened its first overseas Ng Ah Sio Bak Kut Teh outlet in Taipei City in July, it said in a filing to SGX after the market close on Thursday. Bak Kut Teh is a Chinese pork rib soup. Jumbo also expects to open franchised outlets in Fuzhou and Bangkok by the end of 2018, it said. OCBC said on Thursday that it bought back 100,000 shares in the market at S$11.46 each for a total consideration, including other costs, of S$1.15 million. Since the April 2018 start of the buyback mandate, OCBC has bought back 6.725 million shares, or 0.161 percent of the issued shares excluding treasury shares at the time the mandate began, it said in a filing to SGX after the market close on Thursday. Delong Holdings’ CEO and executive chairman Ding Liguo made an offer via special purpose vehicle Best Grace Holdings to acquire all of the company’s shares for S$7.00 each, it said in a filing to SGX on Thursday. The offer price is a 8.0 percent premium over the volume weighted average price of the stock for the past month, the filing said. Oxley Holdings said on Thursday that it adopted a scrip dividend scheme which will allow shareholders in the program to elect to receive qualifying dividends in the form of shares, instead of as cash. Stamford Land said on Thursday that it bought back 241,800 shares in the market at S$0.495 each for a total consideration, including other costs, of S$119,870. Since the July 2018 start of the buyback mandate, Stamford Land has bought back 8,126,100 shares, or 0.94 percent of the issued shares excluding treasury shares at the time the mandate began, it said in a filing to SGX after the market close on Thursday. 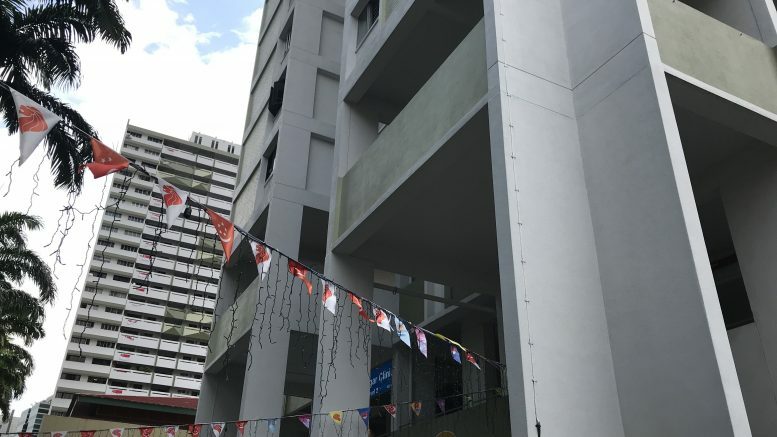 Silverlake Axis said on Thursday that it bought back 606,600 shares in the market at S$0.4331 each for a total consideration, including other costs, of S$263,218. Since the October 2017 start of the buyback mandate, Silverlake Axis has bought back 182,434,000 shares, or 6.89 percent of the issued shares excluding treasury shares at the time the mandate began, it said in a filing to SGX after the market close on Thursday. SunMoon Food said on Thursday that it bought back 202,500 shares at S$0.049 each for a total consideration, including other costs, or S$9,970. Since the July 2018 start of the buyback mandate, SunMoon Food has bought back 940,600 shares, or 0.1307 percent of the issued shares excluding treasury shares at the time the mandate began, it said in a filing to SGX after the market close on Thursday. This article was originally published on Friday 28 September 2018 at 7:32 A.M. SGT; it has since been updated to include items on Straits Trading, Delong and Accrelist.